The Coding Clinic clarification on the interpretation of the “with” convention contained major shake-ups for home health coders. Make sure your coders have the most up-to-date code guidance so your agency stays in compliance with the new rules. 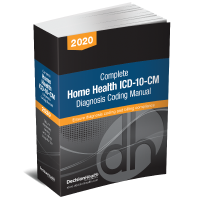 The FY2017 official coding guidelines contain some major shake-ups for home health coders. Case in point: the confusion surrounding the Coding Clinic clarification on the interpretation of the “with” convention as well as the update to the coding guidelines – both of which confirm that diagnoses that could never before be assumed to be connected can now be assumed connected—a complete reversal in coding guidance. Confused? Don’t worry, you’re not alone. Many coders are still struggling to accept this new rule and apply it comfortably, and therefore are either coding incorrectly or leaving rightful reimbursement on the table. There’s no question—you don’t want to be on the outs of getting access to these crucial updates and coding clarification. Join home health coding expert Judy Adams as she carefully dissects the guidance updates, explains how they impact coding and walks coders through how to apply the new guidance to be in full compliance. Interpret “with” when it appears as a subterm in the alphabetic index, and how its relationship to the two conditions its bringing together affects the coding (i.e. diabetes and neuropathy). Apply the concept behind the “with” convention to common home health diagnosis, such as diabetes and its manifestations. Gain knowledge of the key updates to the official coding guidelines that took effect on Oct. 1 2016, including the now assumed connections between hypertension, heart disease and heart failure. Develop a framework for approaching complex scenarios that are subject to these new guidelines and the new “with” interpretation, i.e. sequencing based on the focus of care. 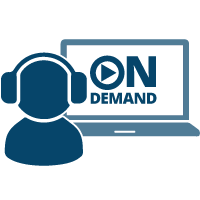 BONUS: Quick guide to coding hypertension, heart disease, CKD, diabetes and a quick guide to diabetic manifestations under subterm "with"
Earn 1 BMSC HCS-D CEU when you register for this on-demand webinar!